Rewriting Wine 101: Why is German Wine so Cool? German wine exports worldwide grew by 7% in terms of both volume and value in 2017 compared to 2016, with China leading the value growth at 37% (volume growth at 25%), driven mainly by the young, urban crowd who appreciate the freshness and fruitiness of German Riesling – it’s considered cool to drink white wine in a country that is dominated by red wine. The hip populations of the world are getting more health conscious and increasingly opting for lighter styles of wine, without sacrificing quality. 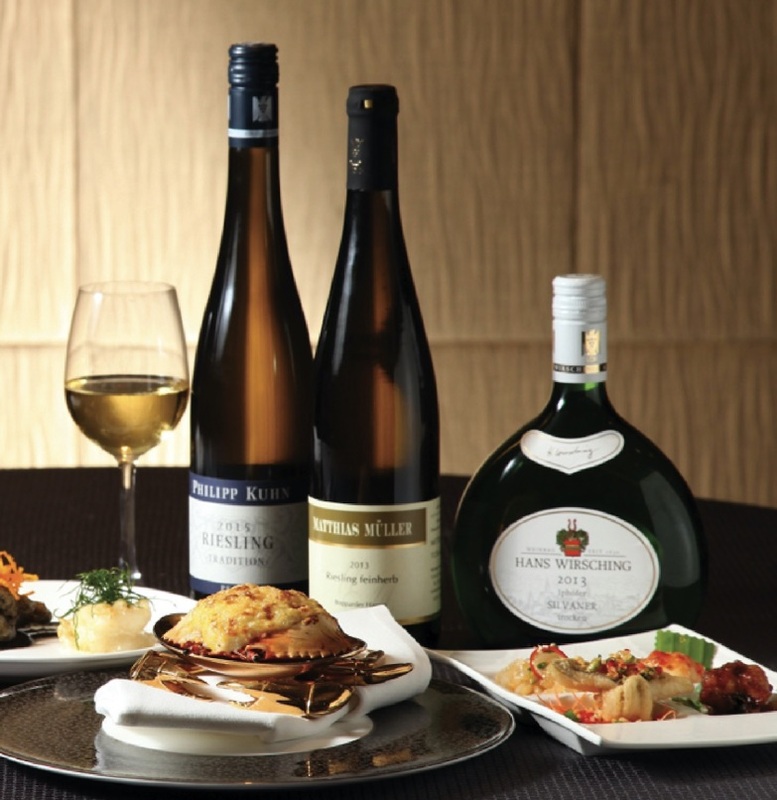 The long ripening period of German wines, especially whites, allows them to develop full and deep flavours supported by fresh acidity, making them perfect partners with a wide range of cuisines, despite their moderate alcohol level. 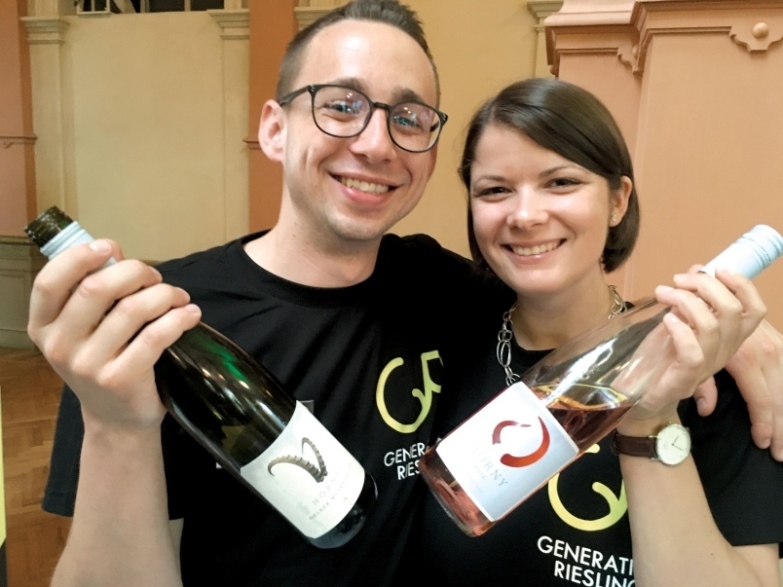 The image of German wine has been successfully revitalised with the creation of Generation Riesling in 2006, a platform for Germany’s young winemakers who are under 35 years old and committed to changing the country’s old-fashioned image. To date, the group has over 500 dynamic and innovative winemakers who mainly make dry-style wines with simple, modern and equally cool labels. 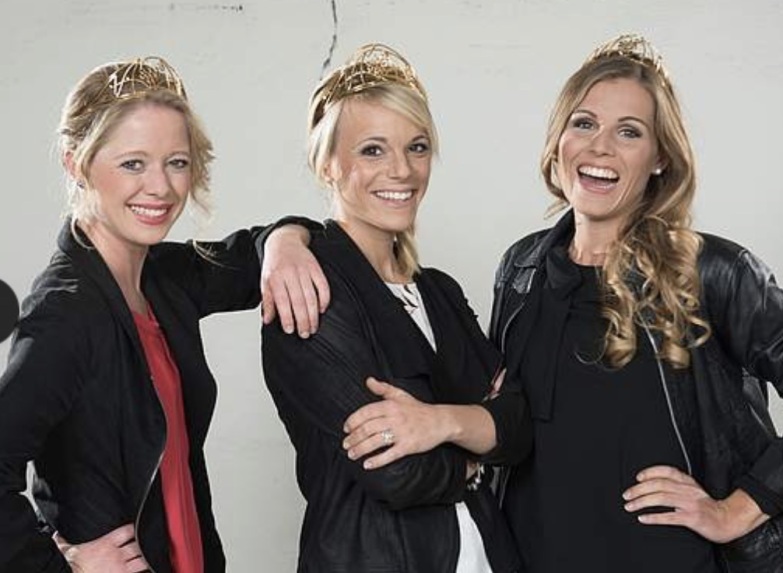 The German Wine Queen and Wine Princesses, elected each year, are competent young women with extensive German wine knowledge and effective communication skills. 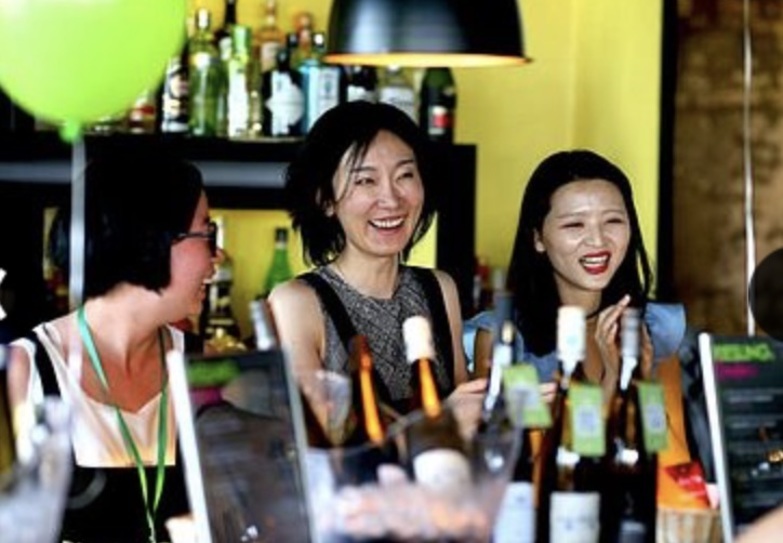 Despite its nearly 70-year history, the election process evolves with time, and the role of these young professionals has progressed from being a pure representative function to being global ambassadors of German wine, with these ladies spending two-thirds of the year on the road. Their friendly and enthusiastic personalities appeal to wine professionals and wine lovers around the world. Summer is just round the corner, and it’s perfect to cool off from the blazing heat with a glass or two of German wine. The annual Riesling Weeks’ month-long campaign will be held in June 2018. Participating restaurants and retailers are offering exciting promotions including build-your-own crêpes at Bungalow, delicious Riesling pairings with seafood at Café Renaissance (Renaissance Hong Kong Harbour View Hotel) and Coast (MGM Cotai in Macau), a dim-sum combo at Hoi King Heen (InterContinental Grand Stanford) and other pan-Asian, Chinese and Western cuisine wine-pairing menus, not to mention sommelier selections, Riesling flights at various bars and restaurants and free tastings at retail outlets. Check out Riesling Weeks’ website for full details. 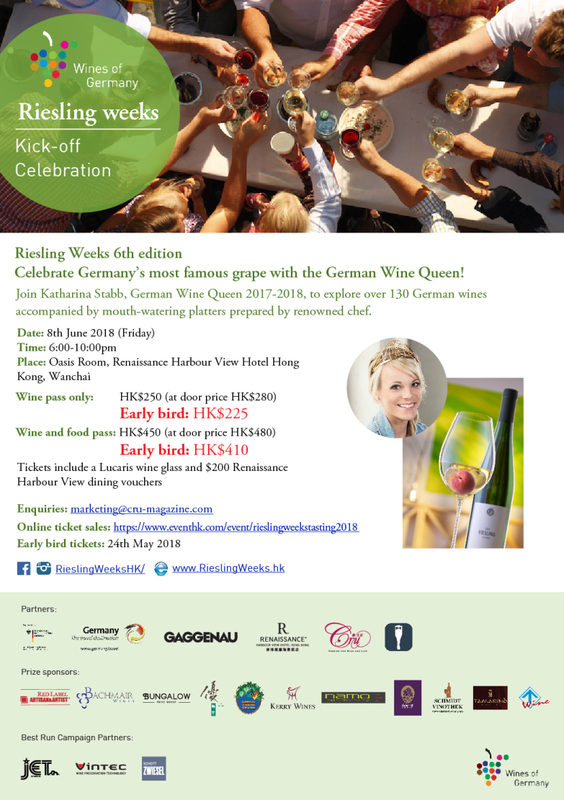 What’s more, Riesling Weeks 2018 will be officiated by the 69th German Wine Queen, Katharina Stabb, at the kick-off tasting on Friday, 8 June at Renaissance Hong Kong Harbour View Hotel in Wanchai. Foodie readers can use the promo code RW18Foodie for a discount. Click here to book tickets – and find out for yourself just how cool German wines really are.